Flowing mulled vine, delicious bratwurst sausages and Nutella crêpes, December is here and Cardiff’s Winter Wonderland is back for 2018! What better way to get into the Christmas spirit than to visit Winter Wonderland? 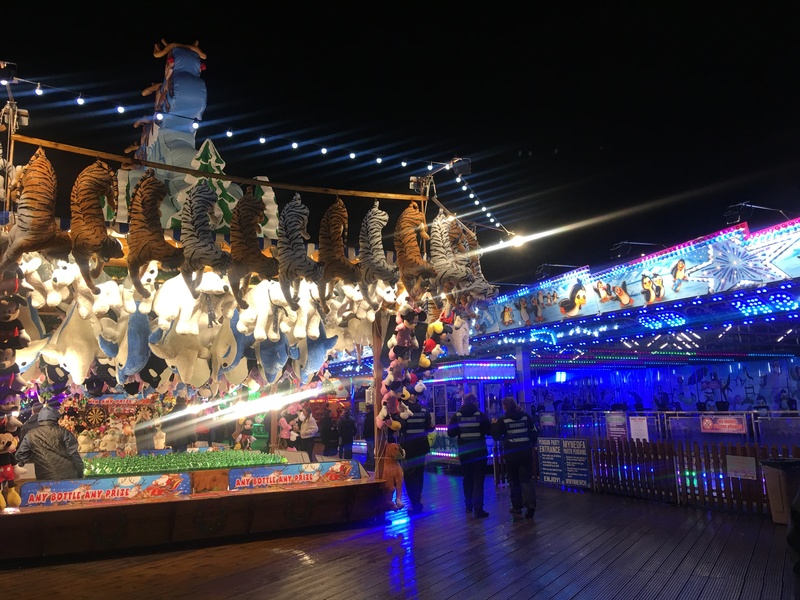 You have until 6 January 2019 to head down to Winter Wonderland for ice skating, fun fair attractions, food, drink and lots of Christmas cheer! With some exciting new developments, Winter Wonderland is bigger and better than ever before, with lots of fun for all the family. Witness the transformation of City Hall Lawn, against the iconic backdrop of City Hall and the National Museum, into a dazzlingly-lit Winter Wonderland. Although small, it’s packed with atmosphere. With free admission, mulled wine and hot chocolate flowing, spectacular Christmas lights and Santa hats galore, Cardiff’s Winter Wonderland is the perfect seasonal activity, guaranteed to get everyone in the festive mood. Like Ice skating? 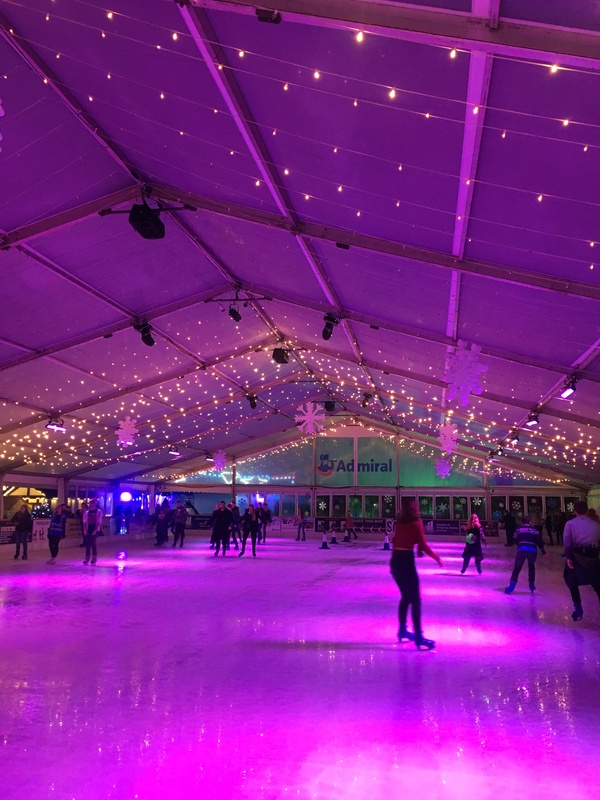 The Admiral Ice Rink has a beautiful clear span roof, with bright twinkling lights, keeping skaters dry whatever the weather. Each skating session is an hour long and it is slightly cheaper to book online, with off-peak adult prices from £8.50, or even better, a family of 4 ticket for £27. 2018 is set to be Winter Wonderland’s busiest year yet, so it is advised to pre-book the skating, especially if attending at peak times, to avoid disappointment. Penguins are also available to rent for children for an additional £5. Brand new for 2018, the grand, wooden bar ‘Sur La Piste’ opens its doors, welcoming visitors to enjoy two floors of cosiness. Similar to a traditional ski-lodge with fur throws and skis on display, witness the Après Ski vibe of the French Alps in Cardiff City Centre. With a variety of beverages available, it’s the perfect place to have a drink, relax, socialise and enjoy the beautiful views of Cardiff’s Winter Wonderland. For adrenaline junkies, why not take a ride on Winter Wonderland’s 2018 new edition – The 90M Tower? Taller than any building in the City Centre, the Tower guarantees amazing views. The vertical drop at high speed is perfect for thrill seekers. If the tower doesn’t float your boat, or you think £6 is slightly expensive to be hurled into the sky, there are dodgems, a funhouse, and a variety of game stalls to explore. Whether you fancy a gourmet burger, a bratwurst sausage, loaded fries, churros, fudge, toasted marshmallows or a crêpe drizzled with Nutella, Cardiff’s Winter Wonderland will certainly satisfy your taste buds! Winter Wonderland has a variety of food stalls, with The Grill Station and The Dirty Fries Van appearing extremely popular with visitors. 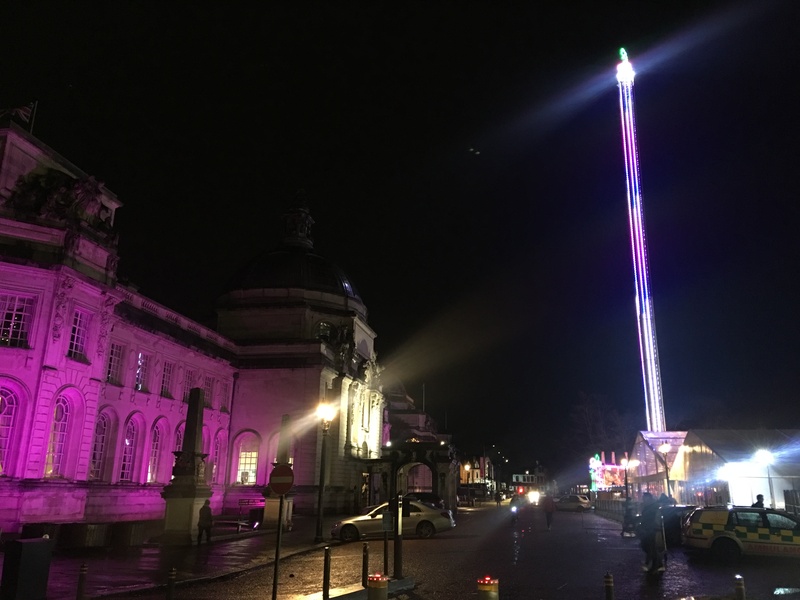 Although Cardiff’s Winter Wonderland is small, and some of the rides are slightly pricey, it’s perfect for all ages, and is definitely a magical way to get into the festive spirit. Are you ready for the ultimate Christmas experience? Fancy some Christmas fun? Then Winter Wonderland is the perfect place to go. Christmas in Cardiff isn’t complete without a visit to Winter Wonderland. Do note that Winter Wonderland is closed on Christmas Day (December 25th), but reopens at 11am on Boxing Day (December 26th).